'Lightlines' welcomes back artist Rob Moore to Gallery Forty-Nine. Rob's paintings will be shown alongside ceramic art by Lara Scobie, who is exhibiting at the gallery for the first time. 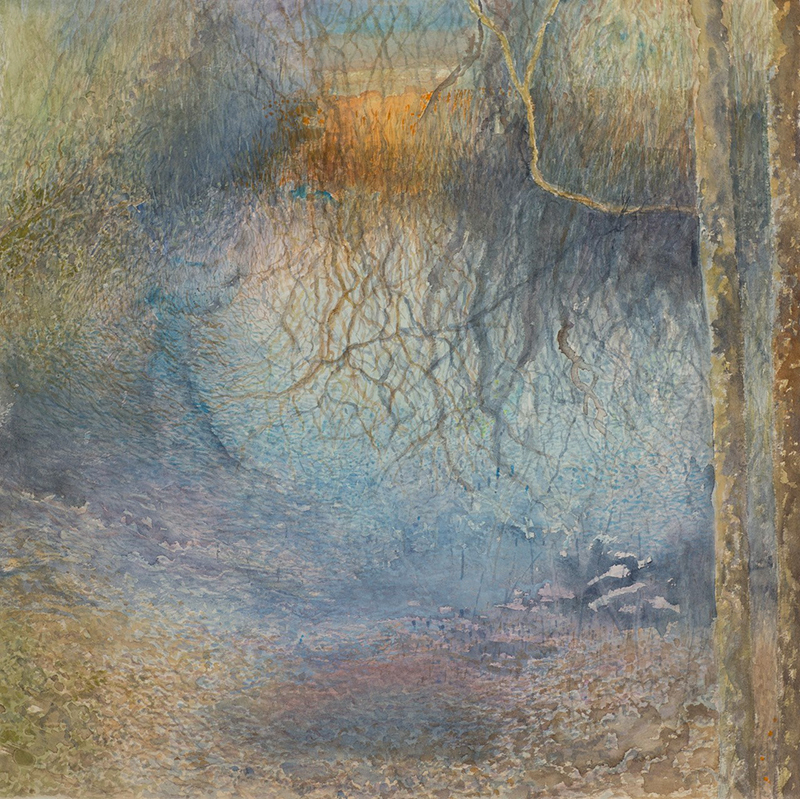 Over the past year, Rob has exhibited across the UK in his touring show 'Living Landscape'. 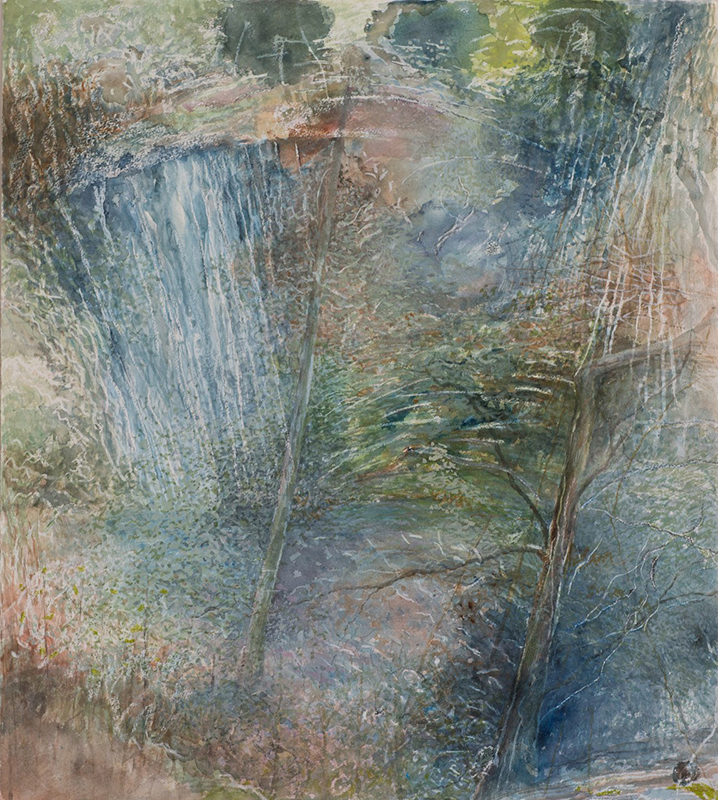 This show sees Rob working as a painter and printmaker, with landscape inspiring the work. The pictures are abstracted, beautiful but subtly edgy. They are not 'windows on the world' in a pictorial sense, but images that have a suggestive narrative that often touch upon concerns about our environment. 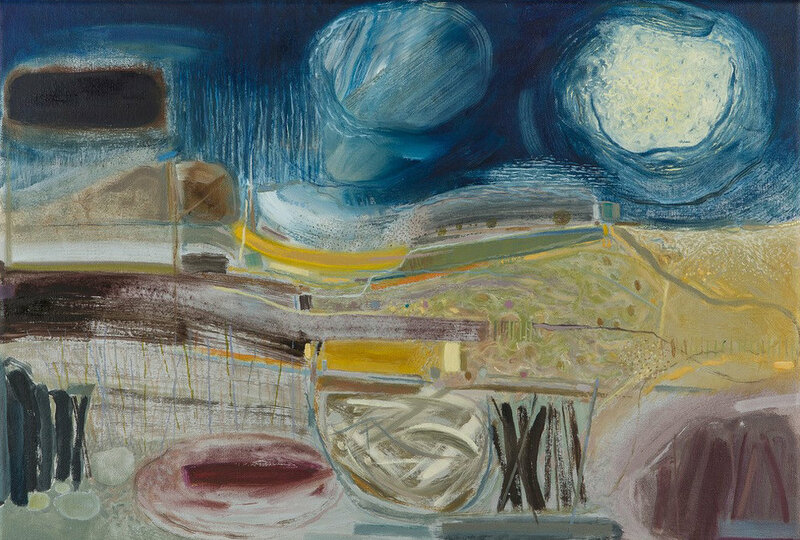 Rob’s familiar passion for colour, surface and pattern, combined with an individual view of the world, sustain paintings that remain attractive and desirable. 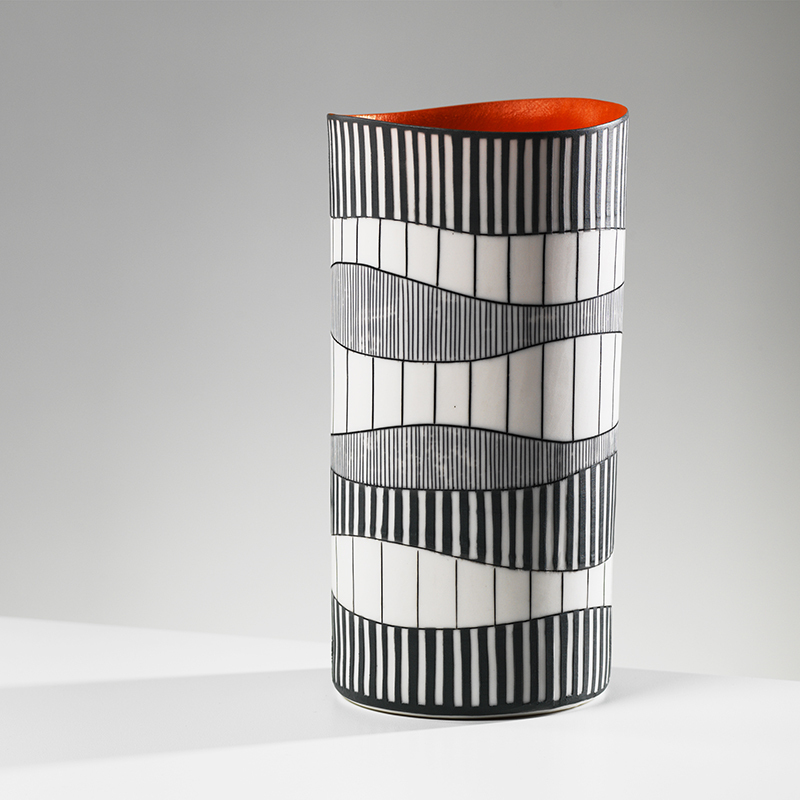 Lara's ceramic work is concerned with the relationship between pattern and form. By integrating drawing, surface mark-making and volume, she plays with the balance of space and pattern, alongside the hue and texture, on both the decorated and void surface. Ideas around the universal desire to hold and touch beautiful objects, as well as collect and display them, are at the root of what Lara does. She is passionate about process, materials, and the skills that surround the hand-made. Her ceramics are exquisitely executed, but retain a human touch. 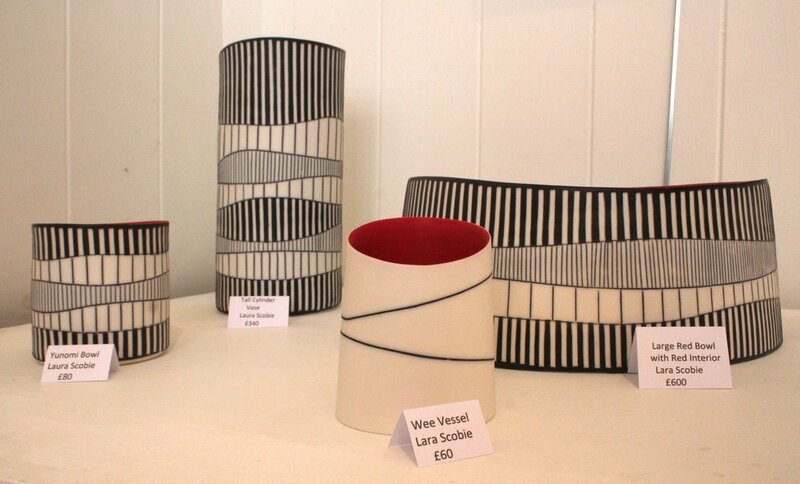 Lara works with Parian and bone china clays for their fine qualities of luminosity and ability to retain sharpness of line and colour.